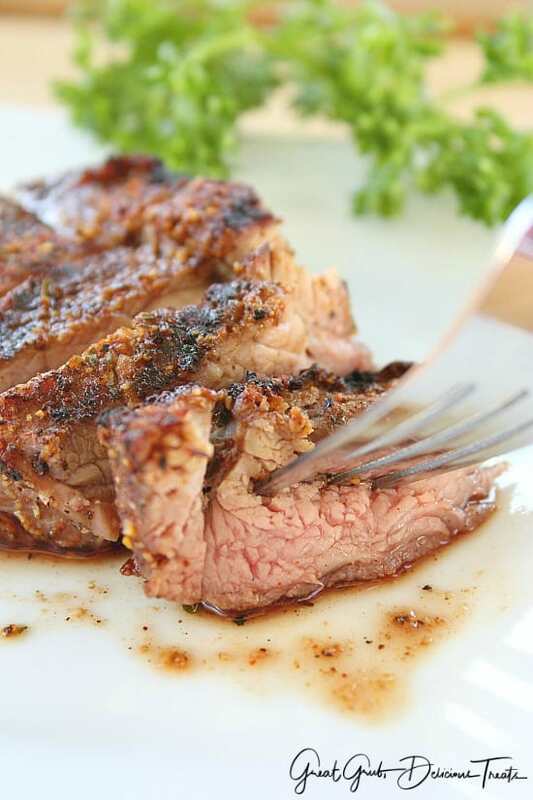 Now that summer and grilling season has arrived, here is another delicious recipe that’s perfect for the grill. 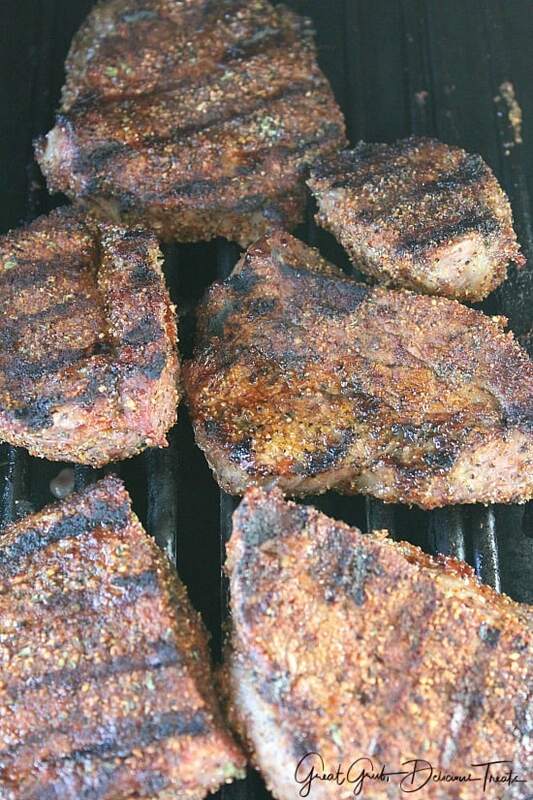 BBQ dry rub tri tip steaks. 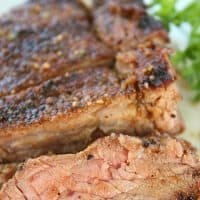 These tasty steaks are super juicy and a tad bit spicy. I used my dry rub recipe, which you can find here, and just love this rub. This is a great rub to use on any type of meat which seals in the juices. As you see the different pics I’ve posted here, these steaks are super juicy. Not so much in the picture below, but once cut, the juices are plentiful. Start out with a tri tip roast, cut it into steaks and rub this dry rub seasoning all over each steak. Because of the smaller surface area, these steaks are a bit spicy. If you are not wanting the rub too spicy, just cut down on the spicy seasonings added. 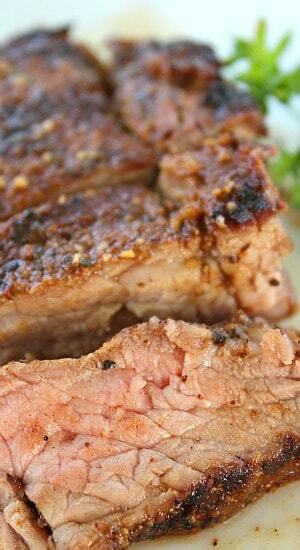 The dry rub holds in the juices and that is mainly due to the Parmesan cheese ingredient in the rub. 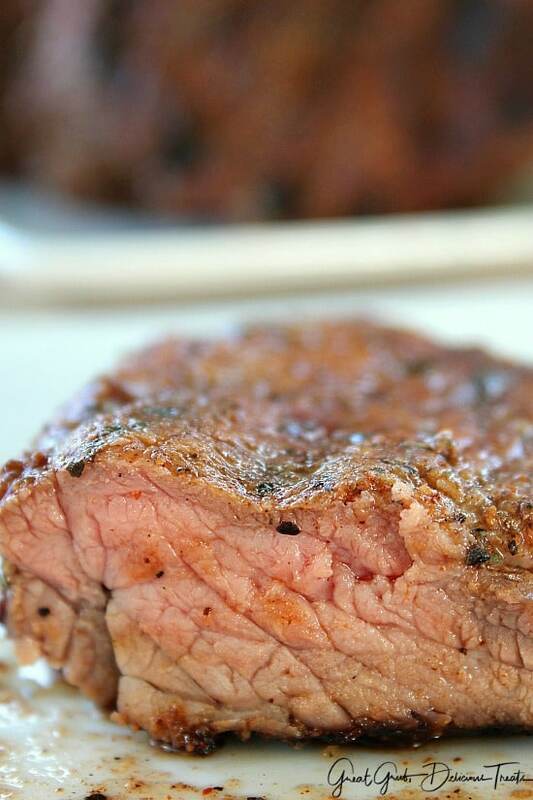 You can put the dry rub on the whole tri tip roast and then cut into steaks after it’s grilled. Either way works. 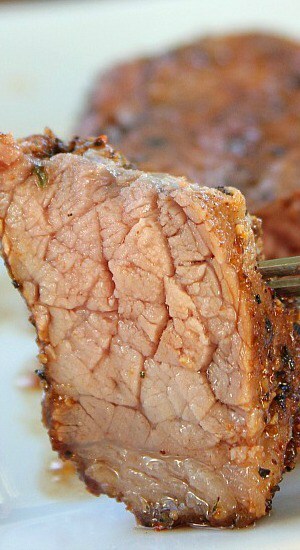 One of my favorite types of meat is a tri tip roast. So delicious and this dry rub intensifies the flavor. 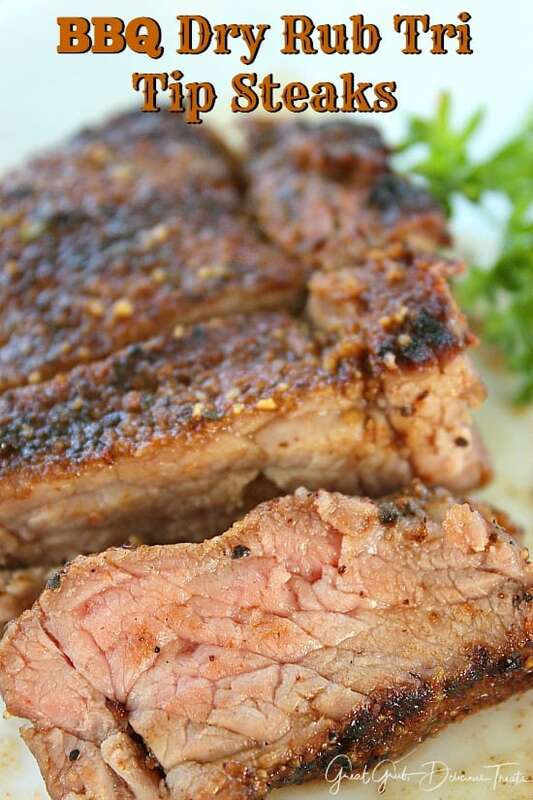 The day we grilled these BBQ dry rub tri tip steaks was a busy grilling day. We had fired up the grill and just kept barbecuing different types of meat. I still have my blackened BBQ tri tip that I’ve yet to post. I’ll get that one done soon… it’s SO GOOD! This is a great addition to add to the holiday menu. I hope you all have a wonderful 4th. Enjoy! 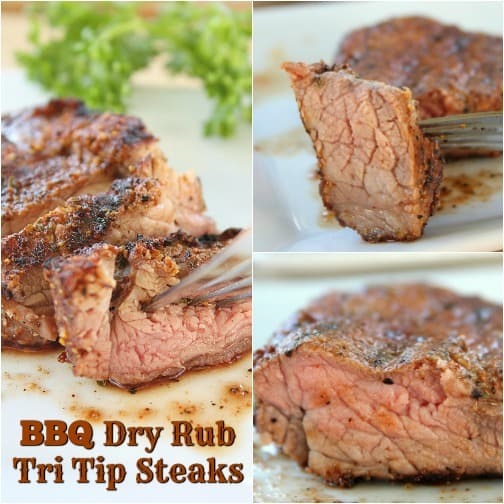 Rub dry rub seasoning on steaks covering both sides. 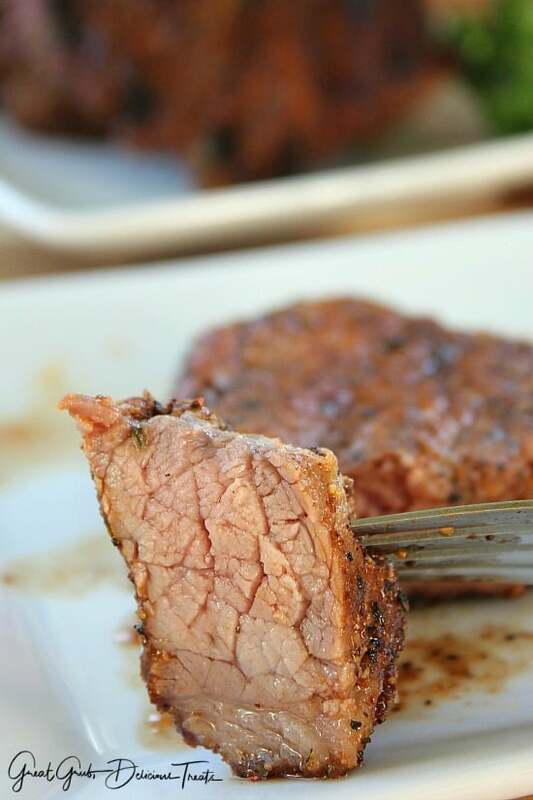 Turn grill to low/medium and grill steaks to your liking.